Generally, over time sorrow turns into joyful memories. Feeling pain and loss is normal. When grief becomes debilitating, you should reach out to a therapist, counselor, or pastor, who can help guide you through the grieving process. My father's sudden death in 2004 nearly broke my spirit. We thought he had a bad flu. Two weeks later, he was gone at 54. The entire family was devastated. My oldest niece was 8 years old. When a friend told her not to cry because he was in a better place, she replied: "I don't want him in heaven, I want him here." Her statement summed up my feeling. I am typically the "strong" one. I cried a river the day he passed, but I did not shed a tear at the funeral or afterwards. I immersed myself in work. After a few months, a friend pulled me aside. "Ronda, you are not grieving. That is not good. How about I rent some movies and we can say that is the reason for your tears?" I was headed towards a mental breakdown. I spent the first year of Dad's death in denial. I never spoke of him in the past tense. He was my anchor, protector, and motivator. He encouraged me to discover the world and chase my dreams. "You can always come home. You don't want to get to the end of your life and wonder what would have happened if only you tried. Go try. We'll always be here." For the first time in my life, I felt alone -- like someone ripped the rug from underneath me. Who could I run to for strength and encouragement now? I felt orphaned. As a young girl, I spent my summers working as Dad's carpenter assistant. I had my own tool belt. When I bought my house, Dad would come over and fix stuff. I cooked and we watched boxing. We always bonded over home repair and boxing. A year before Dad died, I started going to local boxing fights with a neighbor. Dad came to some fights with us. A year after my father passed, I enrolled in boxing lessons. I found a boxing gym at the Chicago Park District. My trainer, Tito, came from generations of fighters -- Golden Gloves, junior Olympians, amateurs, and professionas. The gym had traditional hardwood floors and a ring with a spit bucket in the corner. You could hear the rhythm of the 1-2-3 punch -- jab, right, hook. I knew this was the place for me. This is where Dad would be. My trainer worked with his father, who was training his brother to go professional. Watching the father-son bond was a constant reminder of my dad. In addition to losing weight and getting in shape, boxing was my grief counseling. I worked out my anger over his death on the punching bag. It was exactly what I needed at that time. I still missed Dad on holidays or special occasions, but it was less sorrowful. On those days, I would put in a family DVD. Since Dad was the videographer, you did not see him. You just heard him narrating. Listening to Dad was something that the nieces and nephews did when they missed him. When I moved to NYC, Father's Day and holidays I would watch a DVD to hear Dad's voice. I needed a reminder that it was okay to leave Chicago to chase my dream. I had not experienced anxiety since the first year of his death, when I thought I was going to lose myself. My youngest niece was born on Dad's birthday in September. Typically, we focus on her to keep it happy. This year marked 10 years since he passed. His birthday was last week. For some strange reason, the week leading up to my dad's birthday I was anxious and would randomly burst into tears. Tears flowed like I was grieving for the first time. I kept saying, "I miss my dad." After 10-15 minutes, the tears stopped and I would collect myself. This was unlike me. Why was I feeling like this 10 years after his death? His birthday was coming up, but I never did this before. The Mayo Clinic refers to this as an "anniversary reaction." For a week, I was an emotional wreck. Normally, reminders of my dad make me smile. This time I had a totally different reaction. Today, I saw baby pumpkins. Another niece was born on Thanksgiving. Every year, my dad would give her a baby pumpkin and call her our Thanksgiving baby. She named her pumpkin Junior and took him everywhere. She even slept with Junior on her pillow. 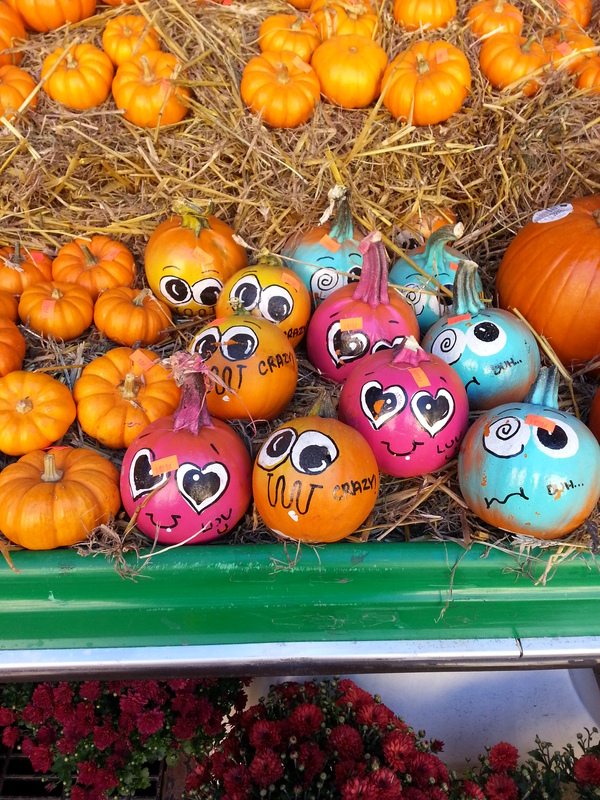 The baby pumpkins gave me happy thoughts. We all grieve differently. My mom grieved as a wife losing her childhood sweetheart. My older sister grieved while trying to comfort her children over the loss of Grandpa. My nieces and nephews wanted to talk about Dad, while us adults were trying to keep it together and avoided talking about him. The kids took our silence as callousness. They wanted and needed to talk about Grandpa. They would say, "What would Grandpa say if he were here?" Until I started boxing, I buried my grief deep inside. That affected my health in ways that I could not imagine. Boxing was my grief recovery. However, my outburst last week was a reminder that grief never truly goes away. Hopefully, someone can benefit my experience. The goal of Ronda-isms is that you learn from my good, bad, and ugly on this journey called life.